What is branding, really? In a nutshell, your brand is your promise to your customer. It tells them what they can expect from you and your products and services. It is a way of distinguishing yourself from the competitors in your own unique way. The emotional and psychological associations that a person makes with your business, product or service. "It’s how people think and feel about who you are and what you do"
Creating a corporate style is one of the most important steps in starting a blog or business. Your brand identity is the first to meet your customers. Therefore, it is important that your style meets up with your wishes. Your customers will first get in touch with your graphic elements. A logo, shape, color, your design used on business cards, posters, promotional material and your website. You build recognition and target groups become familiar with the identity of your business and what you stand for. A corporate style is more than just expressing your visual style. In addition to this visual image, you want to hold your message as a company. The first impression has been made, now it is important to keep communicating with your customers. Do this with the conviction of your chosen identity. You want people to recognize you and keep communicating with you. Represent your company as representative as possible. Handle a particular dress code, pay attention to the language, pick up the phone carefully. Be reliable with your identity and your business will become stronger. I believe it is crucial to define & build your brand in a way that authentically represents the vision and goals you have for your business. I also know from experience how challenging this task can be! Rosewood Creative studio – Brand Assessment Guide to help you get really clear about who you are, what you do (and why) & where your brand is going. Molly Ho Studio – Lots of blog posts regarding branding. The Branding Journal – is an independent online journal that publishes worldwide news, insights, and case studies about branding strategies. Bea & Bloom – Sign up for fortnightly Love Letters containing inspiration, updates & freebies and gain instant access to my library of free resources for entrepreneurs & creatives. Jenna Kutcher – Take the quiz – How to Own Your Awesome, Stand Out from the Crowd, Build a Successful Biz, and Have Fun Doing It! CW Design studio – Do you DIY? 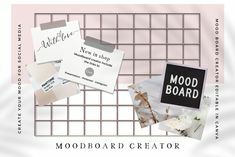 – If you love DIY projects, parties, and cut files subscribe to my exclusive newsletter to download freebies and get product updates. 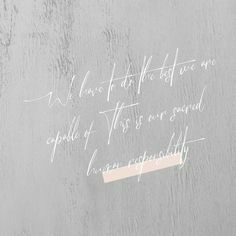 Saffron Avenue – A place dedicated to designing heartfelt brands, custom websites, modern calligraphy, beautiful stationery, and creative resources that are inspiring and intentional.